The Vikings used stones like these, they were often found in burial sites and thought to be just a decorative pendants, it was later realized that these were in fact sharpening stones, carried as a pendant so they would take it off and it would always be at hand...always practical those Vikings. In fact the Ukko stones might have an even older origin, they are mined from just one area of Finland and by one family 'The Stoneman' as he is known is responsible for cutting the stone from the quarry which ancient belief holds is made by the Finnish God Ukko. 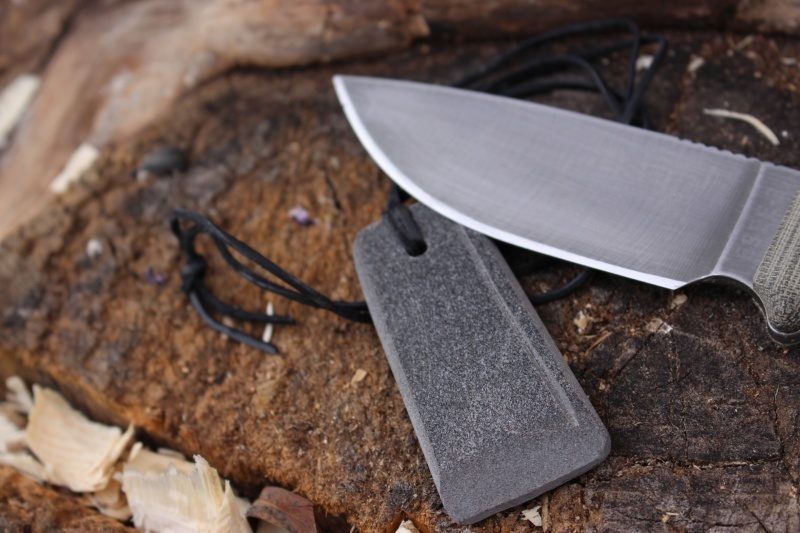 The stone is a Phyllite, a hard, high quality and fine grained stone, when whetted with water makes an ideal whetstone for blade sharpening. 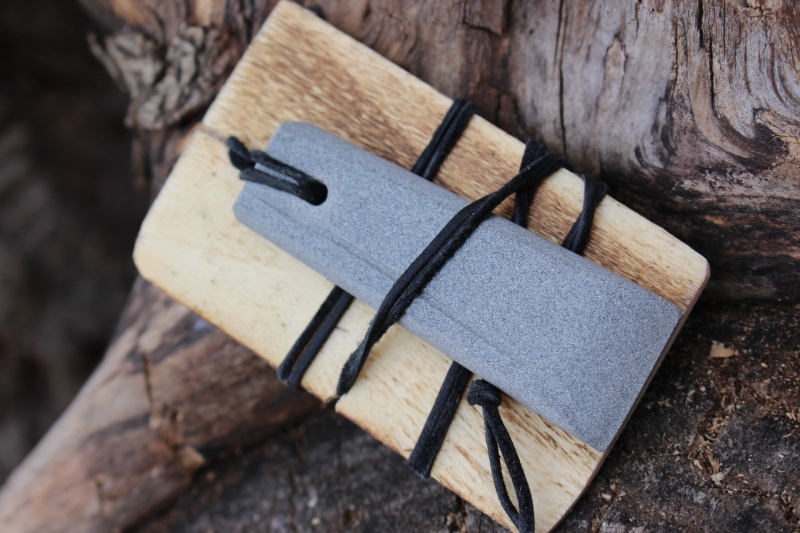 Take one in your backpack and use to keep your knife sharp, just as has been done for hundreds of years in the North. By the way, the 'mud' created by the sharpening process helps the final polish of the knife. The stone is 2 1/2 x 1 inches (though these are cut by hand so this varies) the stone is drilled, comes with lanyard. 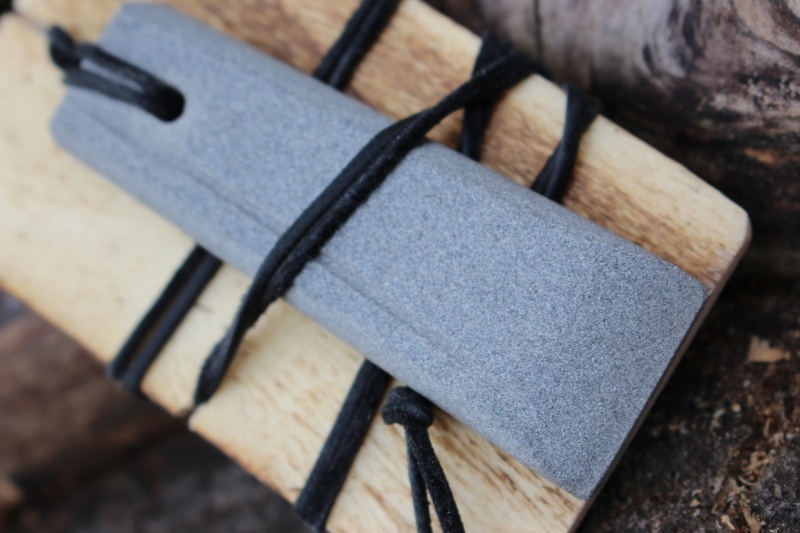 Purchase through PayPal by using the "Add To Cart" button above or use the form below to order the Finnish Ukko Pendant stone Narrow Wedge . Feel free to contact us if you have any questions about the Finnish Ukko Pendant stone Narrow Wedge .